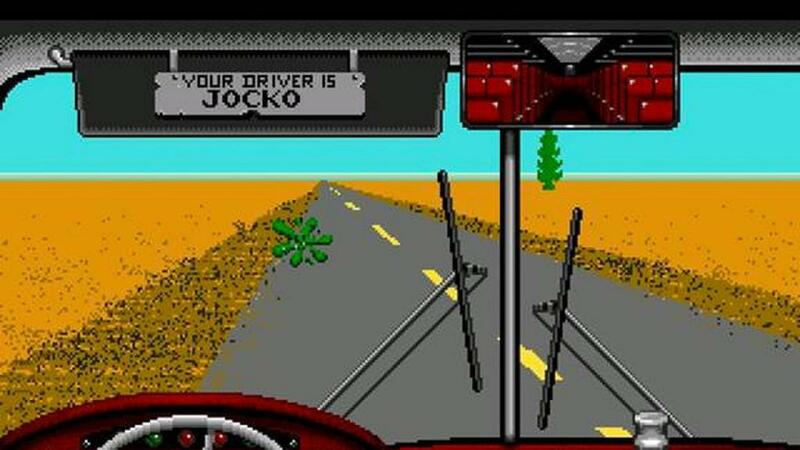 One of the worst games never released is called Desert Bus. It was part of a collection for the Sega CD called “Penn & Teller’s Smoke and Mirrors." The disc was planned for release in the spring of 1995, but the publisher went out of business before it could be released. However, several years ago a copy was circulated on the internet. The games in the collection were all basically pranks to play on your friends, and Desert Bus is the longest con of them all. The point of the game is to drive a bus, at 45 miles per hour, in real time, from Tucson to Las Vegas. You can’t pause the game, and the bus veers slightly to the right the whole time, requiring constant attention. If you veer completely off the road, you get towed back to Tucson - again, in real time. The scenery never changes, and a trip takes, just like it would in real life, about eight hours. When you get to Vegas, you get one point, and then begin the return trip to earn another point. So, who would want to play this game? Well, for the past 11 years, the sketch comedy group LoadingReadyRun has put on an event called Desert Bus for Hope, a charity telethon for a group that buys toys for children's hospitals and domestic violence shelters. The length of time that they play is completely determined by the donations they receive. They’ll play the game for an hour for a dollar. Each additional hour costs 7 percent more, so hour number two costs $1.07. A 10-hour marathon costs $13.82. At four days, that’s over $10,000. This all adds up to serious money. In the last decade, Desert Bus for Hope has raised more than $4 million for charity. Last year alone, they made $650,000 - that’s just a few hours short of a week of gameplay. Desert Bus for Hope 12 streams on Twitch starting Nov. 9.